There is room for none of those reindeer or any of the other ones in my Go-Go Studio! It is FILLED to the tippy top with unfinished projects for the year! 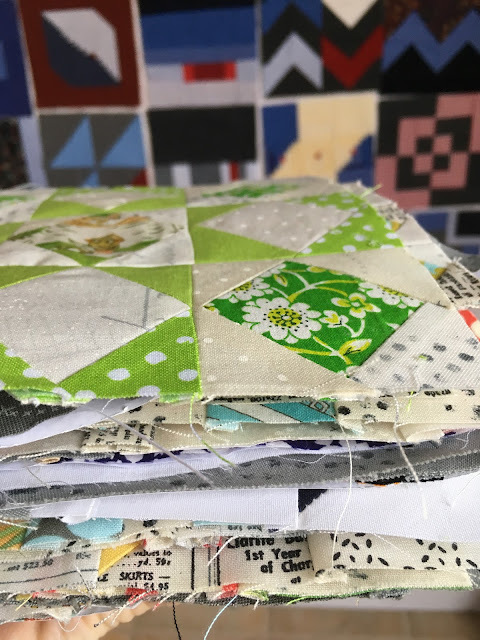 I have projects both big and small for lots of sewing pleasure! There are so many blocks that I cannot even stack them all without them falling down! I have pincushions in various stages of completion. I will tackle the just needing to stitch up the back ones first! 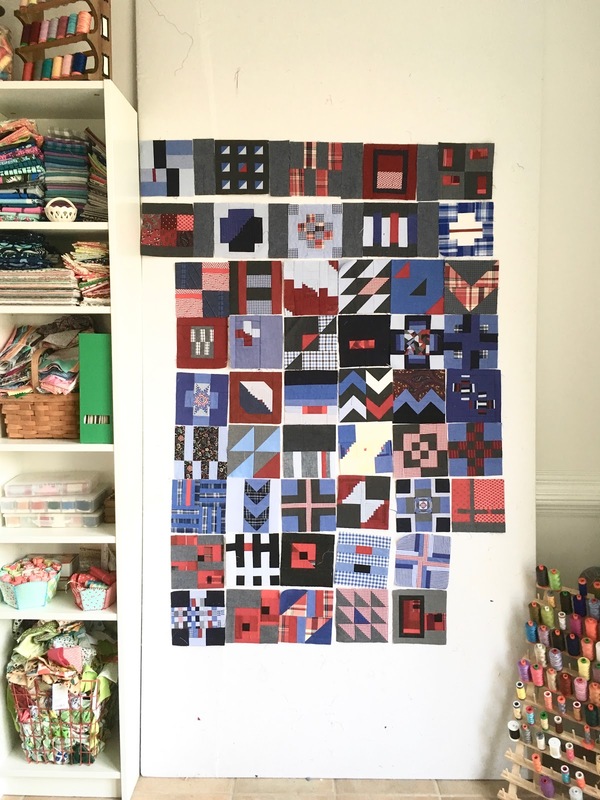 I am considering writing patterns for all of the fun blocks I have been making. What patterns would you like to see for pincushions? My Aurifil Designer Block of the Month from 2013. 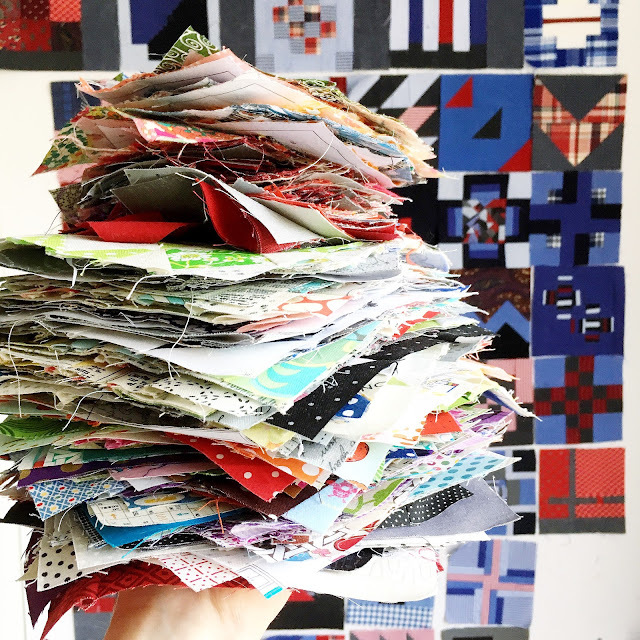 All of the Aurifil Designer Block of the Month blocks are free and you can get them by visiting here. This year I had decided to try Quilt As You Go. So far I am really enjoying the process. I have a massive stack of these lovelies! LOVE red! I wrote a free tutorial for these fun blocks here. My stack of blocks for The Splendid Sampler is growing! You can still get ALL of The Splendid Sampler block patterns for free by visiting here. Fun blocks and FABULOUS community! I have had an incredible time being a part of this project! My up cycled garment blocks. I have started to make the sashing for these. I caught a cold and was down for the count a few days so this is one of my highest priorities for my sewing. What are you working on this week that is not quite finished? You do have a lot going on, but it seems like you enjoy the process of having multiple projects and can focus on a finish when needed! 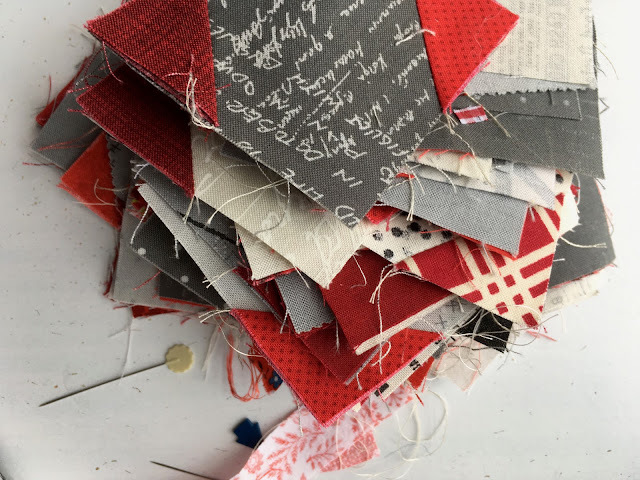 you will certainly not get bored working on just one project as lots to switch to here, I think we are all guilty of having lots on the go. Would love to see tutorials for pin cushions all and any will suit me. If I give you my snail mail address will you mail me some of your energy!!!!!! !